Found this beauty in the files of the State Library of South Australia PRG1258/2/2073. Caption reads "Renmark Motor Services. A line-up of four cars with visible number plates, loaded with passengers, parked in front of the Renmark Motor Services Booking Office and R.P. James, auctioneers and valuators ca.1912"
For our overseas readers Renmark is a town in our "Riverland" on the River Murray about 160 miles hours west northwest of Adelaide famous for citrus and dried fruits. Not exactly "T" related, but I was just curious about the name "Renmark". It has a Swedish ring to my ears, and in the northern Sweden town of Umeå, where my daughter lives, there is a place called "Renmarkstorget" or Renmark Square. "It is said that the word 'Renmark' is derived from the local Aboriginal words meaning 'red mud'." Here is another photo taken in Renmark. 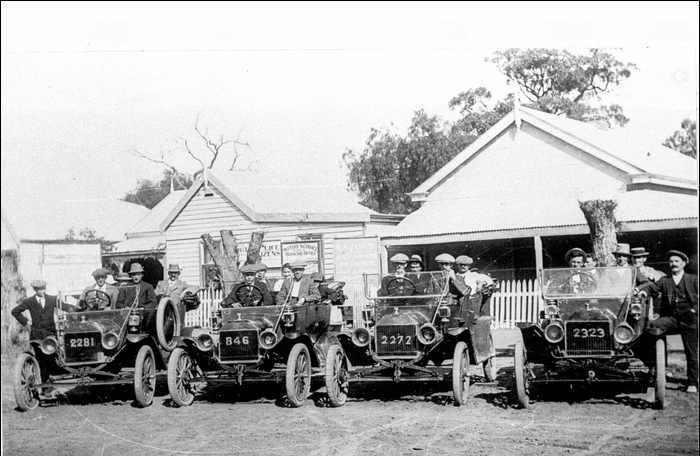 Caption reads " Renmark Motor Club cars outside the District Council and Library. 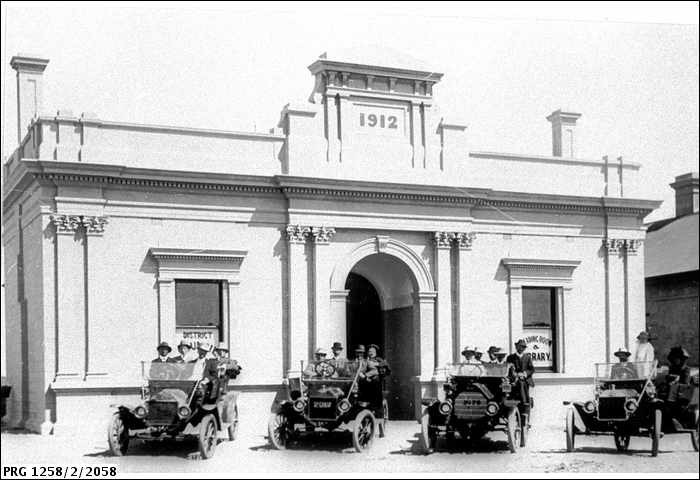 Four Renmark Motor Club cars with passengers, lined up outside the Institute library building, which bears the date 1912." Are they Three 10s & one 11.
eastener,thought it would have been East North East. I do like Easteran Australia and I have been known to get LOST.